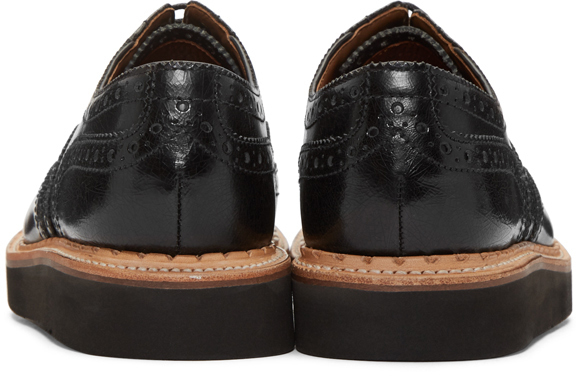 The Grenson you love has just gone black. 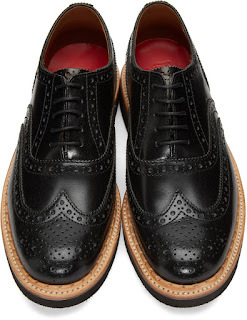 The Stanley Brogue from Grenson gets a revamp for Fall by being done up in black leather with that ergonomic sturdy rubber sole done up in black. 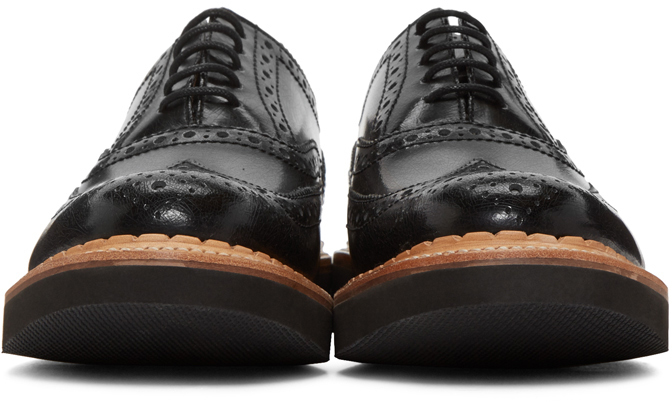 The leather welt mid-sole makes a nice contrast to the wing-tip tooled upper and the sleek matte sole. Pair this with everything as The Stanley looks great with jeans as well as trousers, dressed cool for downtown or whimsically dapper for uptown. Available now at Ssense.com.